Situated in Camber, this holiday home is located 43 km from Canterbury. The unit is 39 km from Eastbourne. Free WiFi is available throughout the property. The kitchen is equipped with a dishwasher. A flat-screen TV is offered. 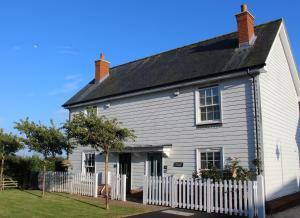 See all Saltmarsh Cottage reviews..